Tilapia fish is a tasty, inexpensive source of protein (1). It is the second most farmed fish in the world that originated in Africa and the Middle East. It started gaining global popularity after scientists unraveled its innumerable health benefits. Plus, it grows quickly and does not require fancy culture conditions. However, concerns regarding its fatty acid ratio and heavy metal poisoning have surfaced, and people want to know the truth. 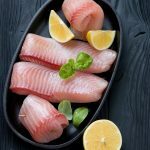 In this article, you will find science-backed health benefits of tilapia, recipes, and the answer to an important question – should you consume tilapia? Let’s begin! Tilapia belongs to the cichlid family. It is a freshwater fish that grows in ponds, rivers, lakes, and shallow streams at warm temperatures and has a mild taste. It resembles a sunfish and has lateral stripes and a long dorsal fin. There are four commercial species of tilapia – Mozambique tilapia, Blue tilapia, Red tilapia, and Nile tilapia. The history of Nile tilapia can be traced back to ancient Egyptian culture. Interestingly, tilapia was considered the symbol of rebirth. These days, it is cultured in farms, and hybrid fish are being produced to meet the increasing market demands. And they are often injected with growth hormones that have a detrimental effect on humans. So, this fact might not hold true anymore. Or is it just hype? Let’s consider all the pros and cons and come to a conclusion. Let’s begin with the nutrition facts. 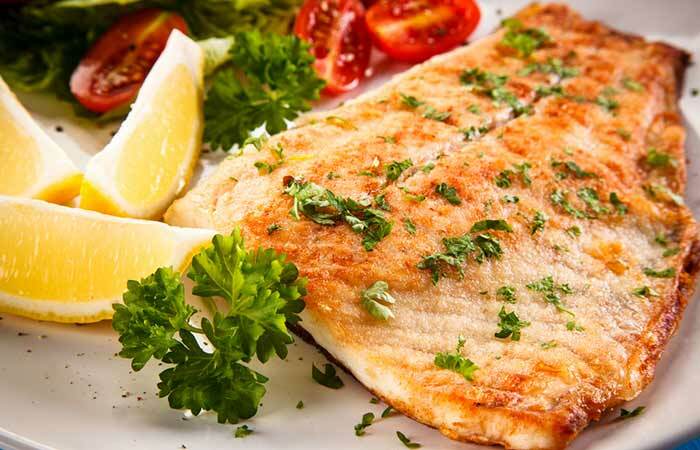 Tilapia fish is loaded with protein, low in calories, and a good source of vitamins and minerals. Take a look at its nutritional profile. Now, let us see why tilapia gained popularity. What benefits do they have? Tilapia fish is good for your bones. It contains minerals such as calcium and phosphorus that are needed for bone growth and maintenance. A few recent studies have shown that tilapia fish collagen type 1 is highly useful in regenerative medicine (2). It has shown promising results in aiding bone cell regeneration in the laboratory and can also be used as a scaffolding biomaterial in the dental field (3), (4). Like several other kinds of fish, tilapia contains selenium and antioxidants that fight cancer and treat heart-related diseases (5). Selenium not only helps reduce the free radical activity inside the body but also make you less prone to oxidative stress. It inhibits the mutation of healthy cells to cancerous ones. Moreover, scientists have found that an antimicrobial peptide (short amino acid chain), hepcidin 1-5, has anti-inflammatory effects and can be used as a novel treatment for cancer (6). Consuming tilapia can boost brain function. And that’s because it contains omega-3s in abundance that increase neurological function and have neuroprotective properties (7). 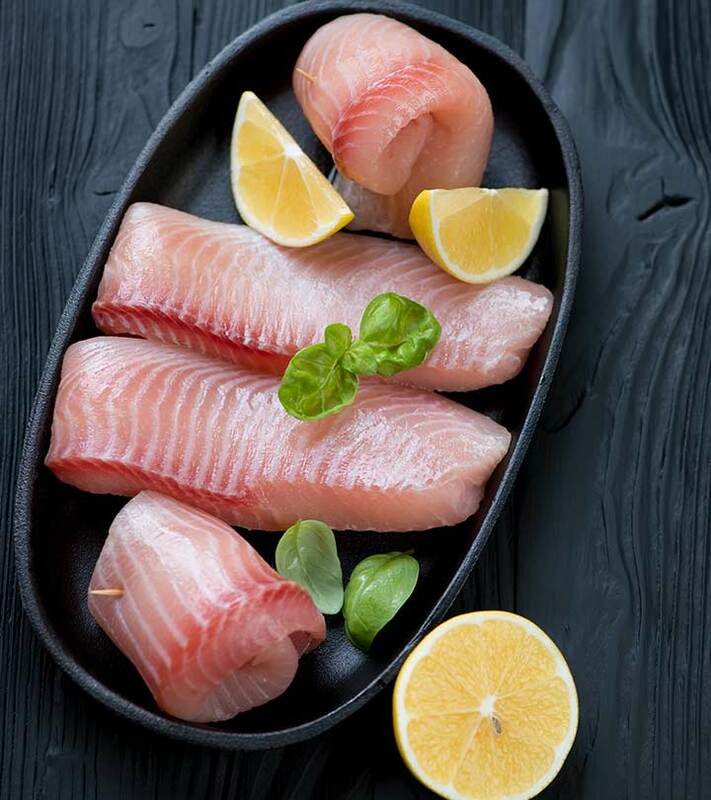 Plus, tilapia is also loaded with selenium that is proven to protect the brain from various diseases like Alzheimer’s, Parkinson’s, and epilepsy (8). It increases the flow of oxygen to the brain, which helps in balancing fluids throughout the body. It not only deposits nutrients into the system but also allows the brain to think with clarity. Another health benefit of tilapia is that it takes good care of your heart. But mind you, it is wild tilapia that does this not the aquaculture tilapia that’s fed with chemicals and generally has an imbalanced omega-3 and omega-6 fatty acid ratio. Wild tilapias have more omega-3 fatty acids compared to the cultured ones (9). According to a recent study, omega-3s can help reduce high blood pressure and prevent heart attacks, strokes, and atherosclerosis (10), (11). Tilapia contains antioxidants along with vitamins C and E that are good for the skin. They improve your complexion and make your skin radiant. Both the vitamins are potent antioxidants, which means they help scavenge the harmful free radicals, thereby helping reduce inflammation and stress. They also protect the skin from photodamage. 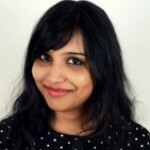 As a result your skin, bones, organs, and cells remain active and young (12). Tilapia can also help you lose weight. It is very high in protein and very low in calories. It could be a great way to reduce the calorie intake and also provide your body with the nutrients it needs to function properly. It can also be a dietary option for those who are trying to get back into shape. Tilapia contains selenium that plays an important role in the regulation of the thyroid gland and improves the hormonal functions as well (13). Regular functioning of the thyroid gland will make sure your metabolism is boosted and prevent weight gain/loss or any other disease related to a malfunctioning thyroid. Scientists have found that marine collagen peptide from Nile tilapia showed significant progress in closing scratch wounds and flesh wounds in laboratory animals (14). These are the mighty eight benefits of consuming tilapia fish. But how to prepare it? Here are a few Tilapia fish recipes to give you the general idea. Preheat the oven to 135o F.
Toss the tilapia fillets and veggies with olive oil, butter, lemon juice, salt, and chili flakes. Cover it and bake for 20-30 minutes. Preheat the oven to 135oF. Toss the tilapia fillets in lemon juice, salt, pepper, and garlic. Drizzle butter on top and top with parsley. Transfer the fillets to the baking tray. Rub the tilapia fillets with lime juice, salt, pepper, and garlic powder. Spray the fillets with cooking spray and grill them, 5 minutes on each side. Heat the tortillas on a skillet. In the meanwhile, blend yogurt, cilantro, and chili flakes into a smooth sauce. 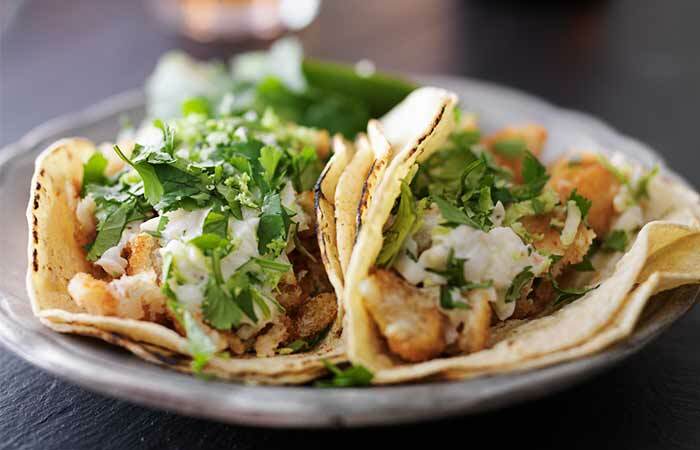 Divide the grilled tilapia on the tortillas. Add salsa, cabbage, cucumber, avocado, and tomato. Top with the yogurt sauce and garnish with cilantro. These dishes are yummy, and you must try preparing them at home. Now, one main question remains unanswered. Is consuming tilapia fish safe? Find out next. Is It Safe To Consume Tilapia? Yes, if it is wild-caught tilapia. But if it is farm-raised, there are many concerns, and you should be aware of them and make an informed decision while buying or ordering tilapia. Here’s what you should know. Sad but true. Farmed tilapia fish in Taiwan were evaluated, and scientists found that they harbored arsenic, leading to arsenic poisoning in people who consumed them (15). You may have heard about mercury poisoning related to tilapia or fish in general. It is true. Scientists have found that both freshwater and aquaculture tilapia can bioaccumulate mercury. However, freshwater tilapia poses about 5% less mortality rate when compared to the mercury poisoning caused by farmed tilapia (16). Tilapia is also known as aquatic chicken because of its protein content and numerous health benefits. But farmed tilapia can lead to an increase in inflammation in the body. This, in turn, can lead to arthritis, weight gain, and heart disease (17). 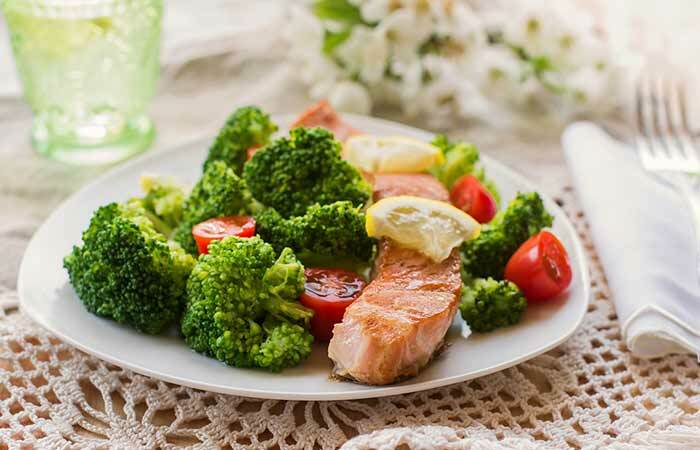 The ideal ratio of omega-3 and omega-6 fatty acids is 1:1. But in farmed tilapia, the ratio is 2:1 or 4:1, which can cause many diseases, including hypertension and heart diseases (18). Farmed fish are exposed to heavy metals that finally enter the human system. Consuming too many of them can lead to mutation in the DNA and cancer (19). Moreover, farmed fish are not grown in healthy and hygienic culture conditions, thereby leading to many other diseases. 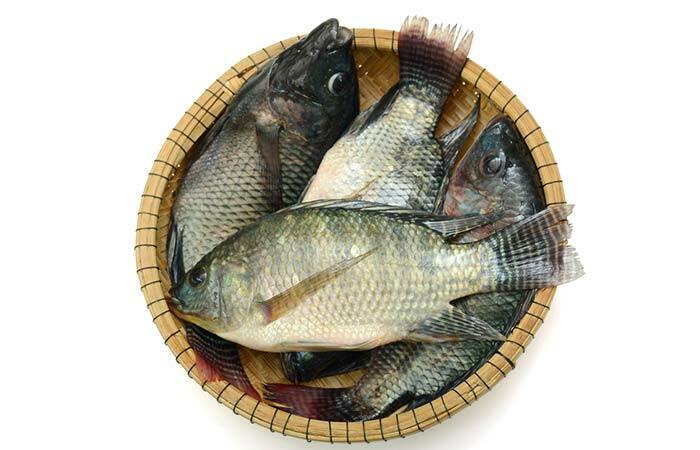 Researchers have found that tilapia grown in farms contain many pollutants, such as polychlorinated biphenyls (PCBs), organochlorine (OC), organophosphorus (OPs), hexachlorobenzene (HCB), and trifluralin pesticides (20). These can lead to diseases or even death. You get the picture, right? Basically, you should avoid consuming farmed tilapia. Though freshwater tilapia is also not completely free of pollutants, it is way safer than farmed tilapia (or fish, in general). So, to conclude, tilapia is good for health, but you should be careful. Take care and be safe.